Age-related macular degeneration (AMD) is a common chronic disease of the eye which affects millions of people across the world. As the name suggests, it is an eye disorder that affects the macula and hence the central vision. It causes significant disability among people of age 50 and older. It severely threatens the vision and is a leading cause of poor vision or irreversible vision loss in older people. 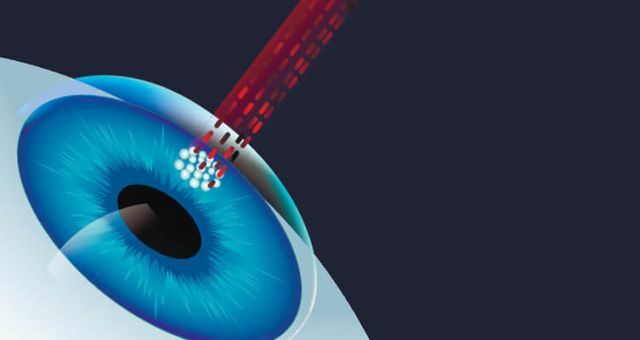 Macula of the eye consists of millions of light-sensing cells and is responsible for providing sharp, central vision. It helps to see objects clearly. The macula is located at the back of the eye and is the most sensitive part of the retina. Any damage to the macula affects our ability to see things clearly. In some people, Age-related Macular Degeneration advances very slowly (the dry AMD) and vision loss does not occur for a long period of time. However, in others, this disease progresses at a much faster rate and leads to a loss of vision (the wet AMD) in either one or both the eyes. 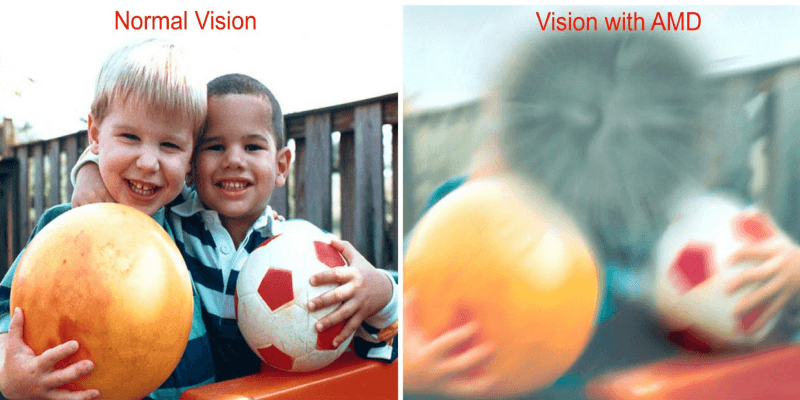 As the eye disease progresses, patients experience a blurring of vision. 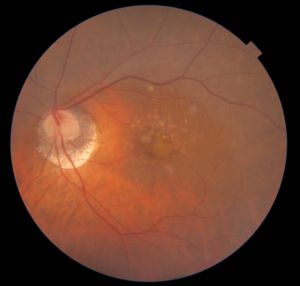 What are the causes Age-related Macular Degeneration? Age-related macular degeneration is basically associated with ageing. Smoking, hypertension, dyslipidemia, exposure to UV radiation increase the risk. 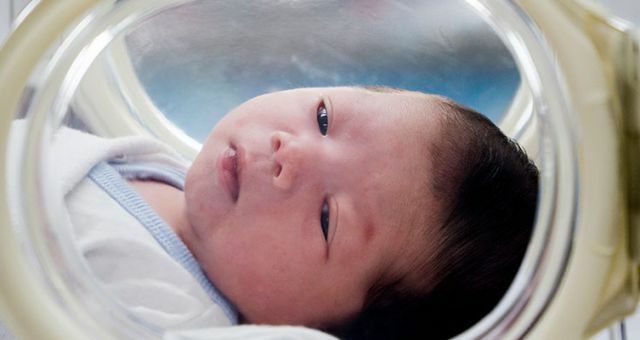 Some researches also suggest that there is a genetic component as well to this disease. Several biological predispositions exist related to this eye disease. Hence, macular degeneration is considered to have a complex and multifactorial etiology. 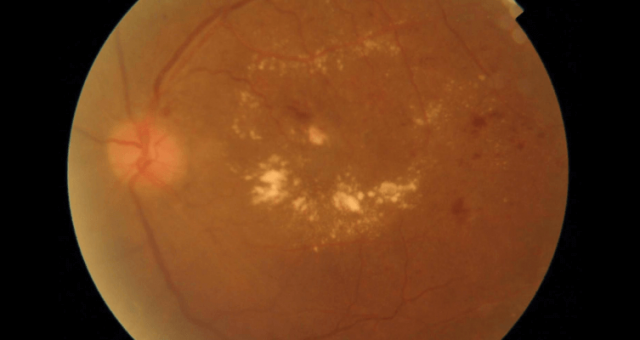 Age-related Macular Degeneration is a major public health concern, as it has increased in its prevalence and also because of its debilitating impact. This disease affects the daily living of the elderly and their overall quality of life. In advanced cases, AMD is also associated with increased risk of depression and accidental injury. The two main forms of AMD are ‘dry’ or atrophic and ‘wet’ or exudative macular degeneration. The dry macular degeneration is more common in patients. 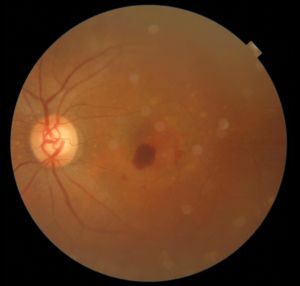 The two forms are distinguished by the presence of abnormal new blood vessels and/or formation of a choroidal neovascular membrane in the wet macular degeneration. Smoking: It is researched that smoking doubles the risk of this disease. Family History and Genetics: Those who have a family history of this disease are at greater risk of developing AMD. There are nearly 20 genes and other genetic factors which can affect the risk of developing the eye disease. Does lifestyle make any difference? Adapting to healthy lifestyle choices can help to reduce your risk of developing Age-related Macular Degeneration. This eye condition cannot be prevented, but certain steps can be taken to slow down the progression of the disease. Better lifestyle choices such as regular exercises, eating a well-balanced, healthy diet, maintaining normal cholesterol and blood pressure levels, etc. aids in the slow progression of the disease. 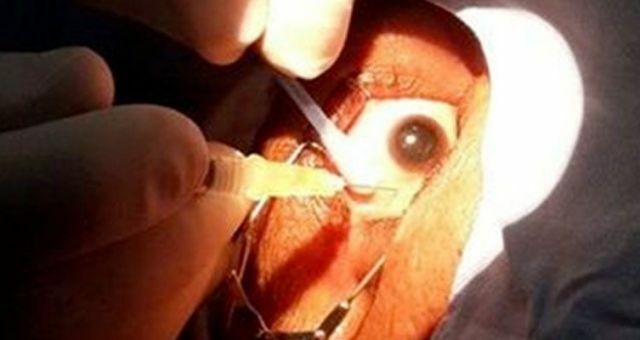 Another important step you can take is to get regular dilated eye examinations and vision tests from a reputed ophthalmologist or eye professional. Eye health professionals can easily diagnose this disease during eye screenings and can track the progression. As AMD is a hereditary condition, do inform the eye doctor if anyone from your family is diagnosed with the same condition. If diagnosed with Age-related Macular Degeneration, your eye doctor can prescribe some medications like lutein and zeaxanthin vitamin supplements. In case of wet AMD, doctor may prescribe Intravitreal injections of an anti-VEGF agent. Usually multiple injections of this agent is required. In resistant cases Photodynamic therapy may be required. Dr. Srinivas completed his MBBS from Seth GS Medical College, KEM Hospital Mumbai. He did his MD (2004-2006) from the prestigious RP Centre for Ophthalmic Sciences, All India Institute of Medical Sciences (AIIMS), New Delhi. He did a long term clinical Vitreo-Retina Fellowship (2007- 2009) from Sankara Nethralaya, Chennai. Dr. Srinivas is an renowned surgeon and his special interests include management of Ocular trauma, managing Complications of eye surgery and Scleral fixated IOLs for management of aphakia.